The event once again provided international networking opportunities and industry insights to inspire international executive recruiters with new ideas and actionable tips and strategies. 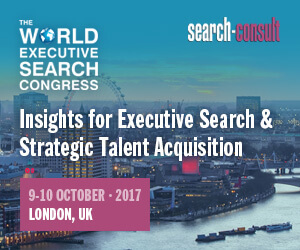 In 2017, encouraging news about growth in Executive Search activity were overshadowed by the impending new GDPR data privacy legislation that will dramatically change how Executive Search firms – and corporate recruiters – store business-critical information… and this was a major topic of interest. Over 150 attendees from 26 countries have attended the event!